EU finance ministers agreed reforms to better fight against a financial crisis on Tuesday that fell short of the original ambitions to relaunch Europe by French President Emmanuel Macron. The agreement between the EU’s 27 finance ministers, without Britain, is intended to hand authorities a more powerful tool box in the event of a major shock to the European economy. The proposals strengthen the financial plumbing of the European economy, but do not include far grander visions such as designating a eurozone finance minister or setting up a European-style IMF. 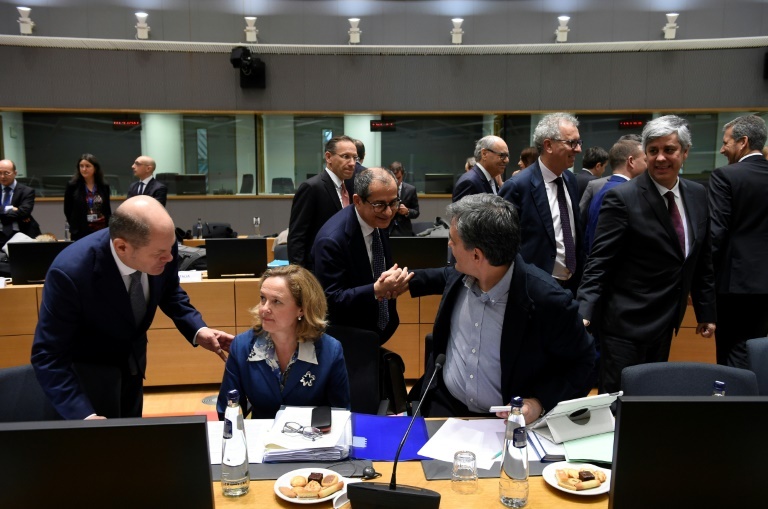 Even so, the ministers negotiated for more than 18 hours with discussions especially tense over the French backed idea of setting up a eurozone budget. “We have a good result. The reform of the euro area is progressing at a decisive pace. Thanks to all those who helped,” said the German Finance Minister Olaf Scholz on his Twitter account. The reforms now need the greenlight by EU leaders at a summit next week in Brussels. National governments have for months been mulling a French proposal to create some sort of budget capacity for the single currency bloc which could be used in case of crises or economic shocks. Macron has made the idea of a crisis-fighting budget for the 19-member bloc a signature part of his vision to jump-start the EU after the debt crisis, the shock of Brexit and the rise of populists. The ministers agreed a much more scaled back version of the idea, linking it strictly to enhancing EU-backed reforms and not as aid to survive an unexpected economic downturn, as the French had intended. Completing the banking union has been another difficult challenge, with powerful Germany still firmly opposed to launching a European scheme, wanted by the European Central Bank, to guarantee consumer bank deposits. Berlin hates this proposal that is widely depicted in German media as an effort by overspending eurozone members from the south to benefit from the risk-averse and sensible savers to the north. The ministers agreed only to discuss the matter again in June 2019. Agreement was more easily found on expanding the responsibilities of the European Stability Mechanism (ESM) — the firefighter for eurozone countries with serious debt problems. Ministers also agreed that the ESM would serve as a final backstop in case a major crisis hit Europe’s biggest banks. But the process bogged down due to the weak government in Berlin and irritation by smaller EU members, led by the Netherlands, at having the EU’s future dictated the bloc’s biggest powers.